The match between the former sister teams was one of the best this year and featured some new tech from Riot Games. 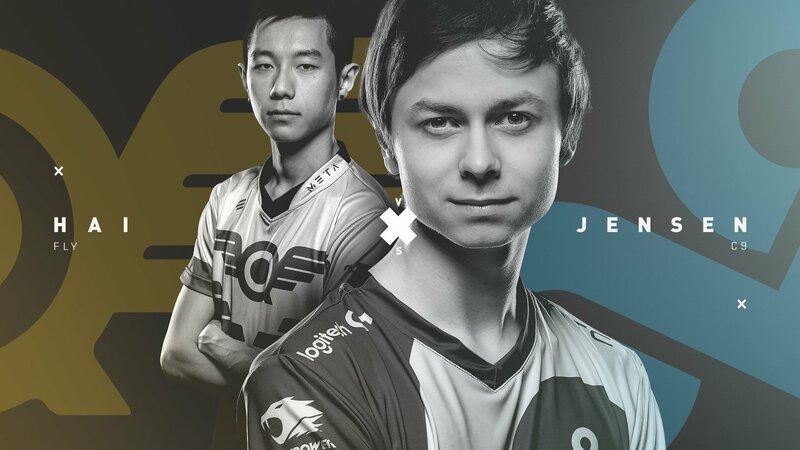 Cloud9 vs. FlyQuest was one of the most highly-anticipated meetings of the split. Beyond the familiarity between the two teams, they are also the top teams in the North American LCS standings. The match quickly turned into a classic, one of the best ones we’ve seen in NA so far this year. Drama, intrigue, and new technology from Riot Games all had a place in the series, with Cloud9 ending on top. In our preview of the match, we wrote that FlyQuest should look to grab an early advantage in the jungle in order to snowball games. They accomplished that mission in game one by picking Evelynn for jungler Galen “Moon” Holgate. Evelynn is a fearsome early game jungler, and Moon made good on that reputation via an early top lane gank. Despite handing over Camille (still overpowered on patch 7.2) to C9 top laner Jung “Impact’ Eon-yeong, FlyQuest was able to neutralize her with An “Balls” Lee’s Poppy. Impact pushed way too far and was punished. From that play, Moon built a 7/0/2 score line, FlyQuest built a 6-1 turret advantage, and the team looked ready to close the game. The nagging problem for FlyQuest was, despite Moon’s performance, Evelynn’s usefulness would decline as the game drew longer. Cloud9 jungler Juan “Contractz” Arturo Garcia’s Graves would only grow more powerful as he continued to farm. Meanwhile, Cloud9 drafted a teamfighting lineup and FlyQuest wasn’t really winning any of the lanes in the standard matchup. In fact, Cloud9 mid laner Nicolaj Jensen was far ahead of FlyQuest’s Hai Lam, making a five-on-five fight an extremely dangerous proposition for FlyQuest. It was no surprise then when a five-on-five swung the game. On a day full of Baron throws, FlyQuest actually secured a Baron but got routed in the pit and C9 won the game. Having been hit in the mouth, FlyQuest responded with a team composition that would scale much harder in game two. They outplayed the global ultimate that Impact had on Shen and used Hai’s signature roams to take control of the map. This time they would not falter, won the crucial teamfights, and ended the game. We were on to a pivotal game three, and weird things started happening. Game three was going relatively innocuously, with FlyQuest eking out a small lead in the lane phase. One of the chief questions this team faces is its ability to win the side lanes in a standard matchup without jungler or mid lane attention. We are in a nearly unprecedented era of power from those two positions, but the meta will not last forever. FlyQuest ADC Johnny “Altec” Ru answered many of those questions by out-laning Zachery “Sneaky” Scuderi, despite C9 taking a strong laning support in Zyra. The key moment came on a flash initiation where Altec should have melted C9 support Andy “Smoothie” Ta. But something strange happened. It looked like Altec’s Miss Fortune ult didn’t go off. After a lengthy investigation, Riot unveiled some new technology that has never been seen before. The game was reset to the same conditions before the bug occurred, and this time, FlyQuest picked up the kill with Miss Fortune channeling her full ultimate. But rather than fold, Cloud9 again coalesced around a strong teamfight identity. With Jensen’s Zilean making Impact’s Nautilus nigh un-killable, Cloud9 rolled toward the FlyQuest base. A bad rotation had FlyQuest giving up an inhibitor and a nexus turret for free. But Cloud9 seemed to grow overconfident, opting into bad trades over the next few minutes as FlyQuest wrestled back control of the map. Hai’s Zed was deadly diving into the back line while Altec’s Miss Fortune rained death on the C9 front. But even after winning an Ace and a Baron, FlyQuest couldn’t push all the way. All game, Jensen’s waveclear made it near impossible for FlyQuest to get close to the C9 nexus. So it was that the final game in a well-played series got to a stage where any teamfight could decide it all. Unfortunately for FlyQuest, it was another bad objective call that ended it. For nearly the entire day, NA teams looked like they were trying to out-do each other in how badly they could throw an objective fight. Just watch the CLG-Dignitas match (actually, don’t watch it. It’s bad). In this game, FlyQuest thought they had vision control of the Elder Dragon. They tried to bait C9 into a position where Altec could ult over the wall. But C9 played an incredibly patient fight with impeccable positioning, and it was Altec who was caught. That fight gave Cloud9 the game, and with it, an undisputed hold on first place in the NA LCS. That doesn’t mean C9 don’t have things to work on. Their lane phase, typically strong, fell behind in all three games this series as FlyQuest made stronger rotations. They can learn a thing or two from the way Moon and Hai operate. For FlyQuest, they can feel good about the way that Altec and Balls played. They’ll need more from that duo as the season goes on. And the can sharpen their teamfight execution, especially in which fights to pick and where to pick them. Cloud9 and FlyQuest are the best teams in NA and gave us a heavyweight fight worthy of their place in the standings.